Great Family Dentist! We have been going to Duck Creek Dental for many years now since my children were small and now my grand children are patients there. The staff are kind and patient and very friendly. They are trustworthy and don’t try to sell you services you don’t need, which I really appreciate. They will give you an honest assessment of what you need and provide good quality care. They are flexible in scheduling and always provide plenty of appointment reminders. They will also work with your insurance company to file claims. I highly recommend them if you want good solid, dental care in a family atmosphere. I have been a patient of Dr. Hariharan ever since he acquired this practice, many years ago. I have remained a satisfied patient and consider him and his staff among my friends. His skill set is highly tuned, and up to date with current dental technology. I can’t say enough about the competence and affability of his entire staff, especially his dental assistant, Blanca. 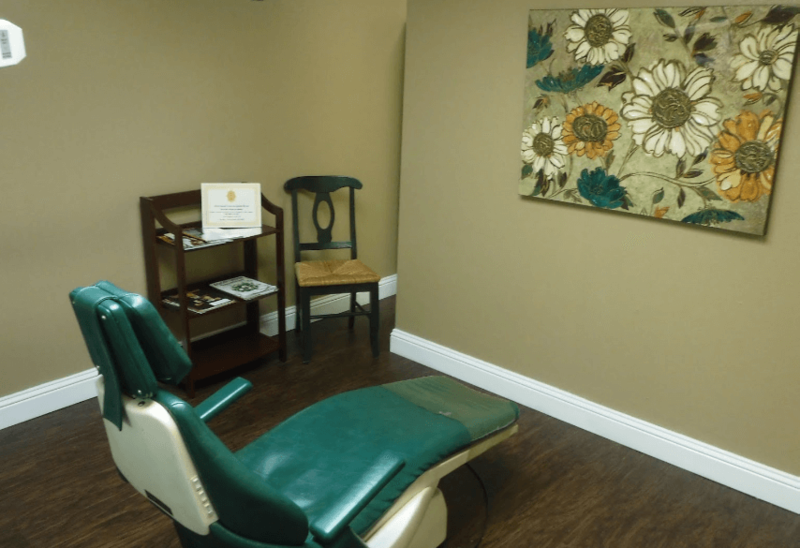 If you are looking for a dentist, do yourself a favor…reach out to Duck Creek Dental. My family and I have been going to Dr. Govind for the last ten years or more. He and the staff have always been very professional, cheerful and kind. He monitors our dental health very closely ie; keeping an eye on old fillings etc. and at times he has referred us to specialist for special cases that needed attention. We have confidence in his skills and find him to be a very competent Dentist. I have been going to Dr. Govind ever since I was too old to go to my pediatric dentist! I’ve moved all around the metroplex and refuse to go to another dentist. Dr. Govind really cares about his patients and has always made me feel more than welcome in his office. I feel lucky to have found a dentist that does good work and that I like personally. Great guy! I am patient of Dr. Hariharan for over 5 years. Dr. Hariharan along with his office staff and dental technicians are very professional and courteous. The patient appointments are kept with no or minimum wait time. Dr. Hariharan always spends time with patient to discuss any concerns. His staff is very pleasant and and always welcoming. large office & patient care area. I am very pleased to have Dr Hariharan as my dental care provider. I’ve been going to Dr. Govind for over 10 years and even though I now live in Frisco, I still drive to Garland for my dental care. Dr. Govind is very friendly and has monitored individual teeth for any concerns for several years. He doesn’t perform needless procedures and when required he does his best to ensure I’m comfortable and nearly pain free. He’s a great dentist with a great staff. I have been seeing Dr. G. for more than 10 years. He is the best dentist I have ever seen (in 50 years). He listens, has a gentle touch (doesn’t stab or poke gums), he is always aware of what he is doing, minimizes pain, does great dental work, and doesn’t recommend unnecessary procedures. On top of all that, he has a wonderful, helpful, friendly staff. Dr. G. and his staff have always treated me with dignity and respect, and they have kind words and a smile. I have been going to Dr. Govind for about 20 years. He’s a wonderful, competent dentist, and all his staff members are great. His location is very convenient for those living in north Garland and the east side of Richardson. I highly recommend his services. I love Dr G and his staff! They’re always so nice and personable. I feel like I am completely cared for without the pressure of unnecessary treatments. Everyone at Duck Creek Dental puts my old childhood fears of the dentist to rest! Great dentistry!!! My entire family and I have been relying upon Dr Govind Hariharan and his staff for more than 10 years. We’re well taken care of each time. Highly recommended! I have been attending this dentist for the past three years and have had only positive experiences with the team. The doctor is patient, thorough, and well-educated. The staff is kind and works with their patients well. I highly recommend this facility to anyone needing dental work and dental cleaning. Me and my family have been patients at Duck Creek Dental for a LONG time and they are great! When we show up for our appointments they take us in on time and the work they do is complete and thorough with a gentle touch. My children have been going since they were kids, and now they are adults and still visit Duck Creek on a regular basis. Thank you Dr. Govind and staff! Our family has gone to dr. Govind for over 10 years. He and his team are wonderful and high quality! I have been seeing Dr Hariharan for a long time and have felt very comfortable with all that he has done for my dental needs. The staff in his office has very little turn-over in the years I’ve been going there and they are about the nicest people you can meet. This in itself speaks highly for the doctor and his attitude spills over to the care for his patients. Dr. Hariharan is great! I don’t write reviews very often but his work was so outstanding I had to write this. What he does is essentially dental art. He does not have a flashy office, in fact it could use a few touch ups but that couch is super comfy lol. You’ll be thankful he’s your new dentist. Dr Govind is a great dentist. He and his staff take excellent care of you. Always a good experience.